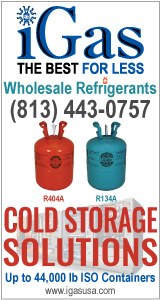 Please Call 813.443.0757 for weekly pricing or contact our Sales Team today! Net Weight: 30 lbs. / 125 lbs. / 1,000 lbs. / 1,750 lbs. Note: Truck load can be mixed to make a truck or mixed to make one pallet. 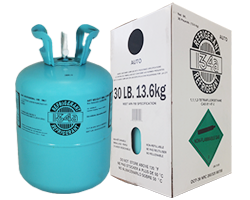 R134A has become the standard refrigerant choice for household appliances, small self contained refrigeration units, large chillers, and automotive air conditioning. R134a is also a comment blending component. Requires POE lubricant to be used in the compresser. 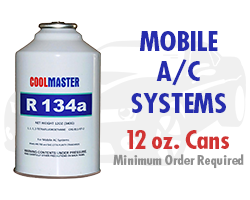 R-134A is the global standard for new mobile air conditioning and can be utilized to retrofit existing R-12 mobile air conditioning systems. Other uses include plastic foam blowing (as a cleaning solvent), a propellant for the delivery of pharmaceuticals, wine cork removers, gas dusters and in air driers for removing the moisture from compressed air. Our mission is to develop innovative solutions that will have a positive effect on our company's work, business and the environment.